The Junior Command and Staff College, the SLAF’s highest seat of learning for Officers, inaugurated on 1 March 1999 at SLAF Academy China Bay celebrated its 20th Anniversary this year. In commemoration of this milestone, a Coffee Table Book consisting of pictorial presentation on the History and Evolution, Course Curriculum and Facilities available at the College was produced. 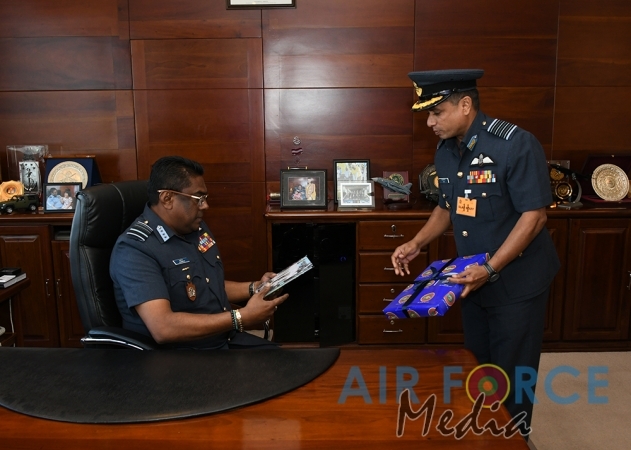 The first copy of the Book was presented to the Commander by the Commanding Officer of JC&SC on 18 April 2019 at the Commander’s Office, Air Force Headquarters Colombo.